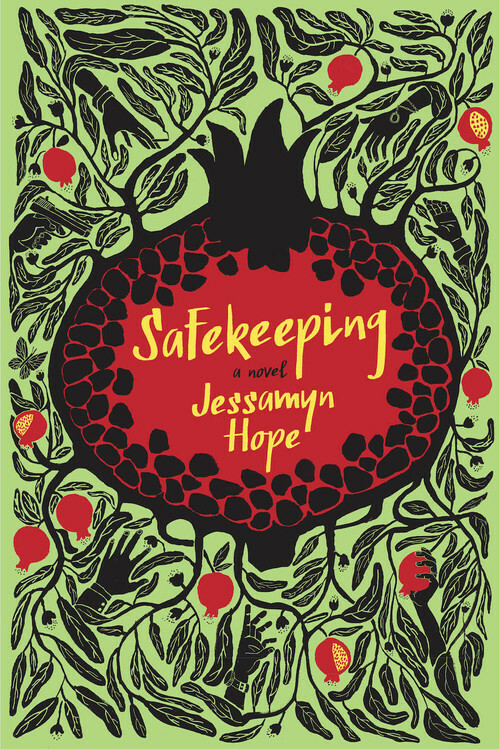 Jessamyn Hope is the author of the new novel Safekeeping. 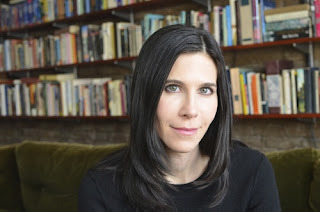 Her work has appeared in a variety of publications, including Ploughshares and Five Points, and she is based in New York City. 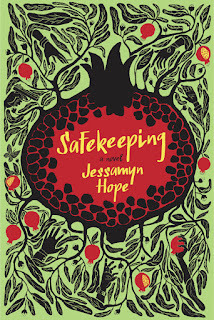 Q: How did you come up with the idea for Safekeeping, and what does the title signify for you? A: Safekeeping was inspired by the time I lived on my cousin’s kibbutz in Israel in the mid-1990s. In the novel, over the summer of 1994, six lives collide on the kibbutz over the fate of a medieval brooch. The backstories of the main characters, along with the epic story of the brooch itself, take the reader on a journey that spans seven centuries and three continents. What title could capture such a diversity of places and people? “Safekeeping” means “preservation in a safe place.” This was not only a perfect title for the larger story of the Jews, which is conveyed through the tale of the brooch, but it also applied to the very personal stories of each character, both Jewish and not. 1994 was the height of the peace process, and the Israeli teenager in the novel is optimistic that soon Israel won’t have to worry as much about security. Sadly, readers know how the next 20 years will play out, that safekeeping will remain an elusive goal. The world, not only Israel, feels far less safe today than it did in 1994. Q: The novel is set primarily on an Israeli kibbutz in the 1990s, but it encompasses other time periods and settings as well. How did you select those time periods and settings, and how important is setting to you in your writing? A: Setting is extremely important to me. I find it very unsatisfying to read novels that do not have very particular, vivid settings. Our inner lives are accentuated by our outer worlds; without a vivid sense of place, a story loses its emotional power and its believability. When I started writing about a kibbutz in 1994, I found that the meaning of the place, why it was so important to the people who lived there, could only be understood in the context of Jewish history. But how could I convey thousands of years of history in an engaging and moving way? After all, my number one goal as a novelist is not to be a history teacher but a storyteller. I realized the history could come through a couple of dramatic stories about the brooch, which would takes us from medieval Europe through World War II to modern-day Israel. The other places the novel takes us—the Soviet Union, Montreal, graffiti-strewn Manhattan of the 1980s, World War II Dresden, British-controlled Palestine—come through the memories of the main characters on the kibbutz. It was important to seamlessly move back and forth from the present-day kibbutz into their memories. One aim of the novel was to capture how we are never merely in the present. We are always walking around with our pasts, both our personal histories and the histories we inherited from our families and our nations. And we are also walking around with the future too, in the form of our dreams and fears. Q: The book jumps back and forth among a number of different characters. Why did you decide to structure it that way? A: A story about a kibbutz, like the story of any small town, is perfect for a multi-protagonist novel. In small towns, gossip flourishes, tensions rise, friendships develop, the larger story of a community unfolds alongside the intimate stories of its citizens. This tension and camaraderie can be even more intense on a kibbutz, which is traditionally a socialist commune where members ate all their meals together in a large dining hall and raised their children collectively in a children’s house. At the end of the summer, the members of the kibbutz in Safekeeping will vote on whether to continue paying everyone the same salary, regardless of their job, or whether to adopt differential wages. Through this vote and other dramas in the novel, we explore the relationship between individuals and their community, how some people feel a great responsibility toward their community, while others feel oppressed by it. A: I write with an outline, so I always work under the assumption that I know where the story is going, but I never do. The outline must have changed a hundred times over the eight years it took to write the novel. I had plans for my characters, but as they became fully-fledged individuals, they sometimes refused to carry them out. I never want to force my characters to do something they would never do, so I would have to go back and adjust the plot. It was never a loss though. It meant more work for me, but those adjustments always made the plot better. A: A novel set in New York City. I am very excited about it, but it is in a nascent stage so I can't say much more about it. A: A book is a collaboration between the writer and the reader. When Safekeeping unfolds in a reader’s mind, it is our imaginations working together. So I love hearing from readers. If you read Safekeeping, please feel free to drop me an email. And if your book club chooses the novel, I would love to Skype in and join the conversation. You can learn more about the opportunity to have me visit your book club here. --Interview with Deborah Kalb. Jessamyn Hope will be participating in the Hyman S. and Freda Bernstein Jewish Literary Festival, which runs from October 18-28, 2015, at the Washington DCJCC.